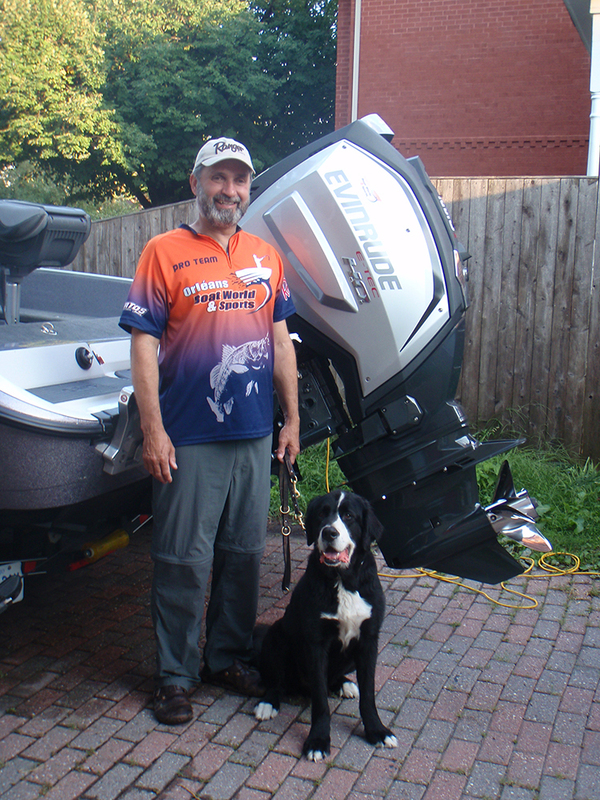 Fishing for Walleye in lakes is equivalent to downhill skiing on blue diamond slopes; doable, but not nearly as challenging and potentially rewarding as pursuing huge Walleye in fast flowing double-diamond rivers. 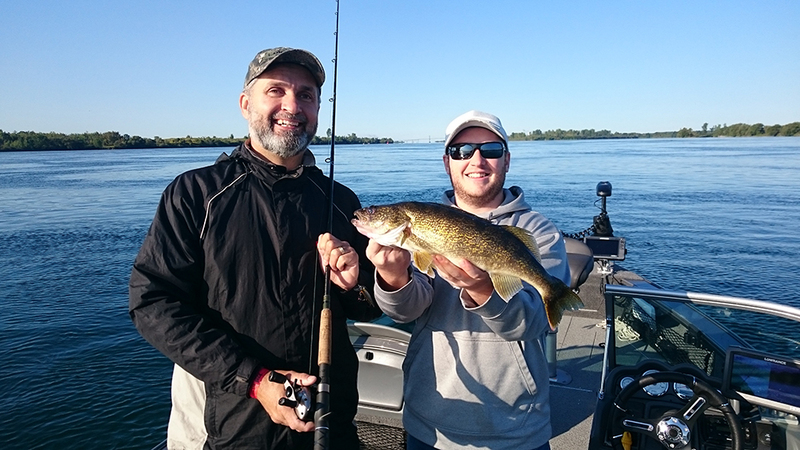 And let’s face it, if you want to catch trophy Walleye consistently around eastern Ontario, you better be working on cracking the code of Lunker hot-spots like the Gatineau, Ottawa and St. Lawrence. While it may seem difficult to imagine anything living in the broiling turmoil of Spring Rivers, think of it as nature’s way of re-setting the table. Gone are last night’s chip bowls and empty beer cans, and out come the lumber-jack breakfast specials. It’s a restocking of the buffet and the fish love it! With current comes opportunity. Instead of fish having to seek prey, they simply hunker down in prime ambush points and wait for their food to arrive. Prime staging areas include rocks, minor depressions in the river bottom, current breaks caused by points or wing dams, back eddies, the leading and tailing edges of islands, ship wrecks, and inside turns along the river itself. Anywhere fish can avoid fast current while still maintaining proximity to food conveyed by fast moving water. When fishing heavy current, it’s important to understand the role of slip streams. Surface water moves faster than water closer to the bottom. The slip between the fast overhead and slower deeper currents begins about three meters from the bottom, and slows to roughly half in the last meter. The reduced velocity results from drag generated by the combined effect of structure and bottom contours. Whether bottom bouncing, dragging Carolina or dropshot rigs, or working a three-way harness, the goal is to reach bottom while maintaining as close to a vertical presentation as possible. The more line you release, the more the current has to grab on to and sweep downstream. This is where your thinner braided lines Like Shimano’s Maxcuatro PowerPro comes into play. For dropshotting in open water with fast current, I’ll use 10-15lb braid. When using heavier weights for bottom bouncing or a three-way harness, I go up to 50lb test. I use fluorocarbon line in 2-meter lengths of 10lb test for dropshotting, and 15-20lb test fluro in 2-3 meter lengths for heavier applications to put distance between the bait and the 2-5 ounce weights. Larger baits include lunker-sized stickbaits such as 4-6 inch shallow running crankbaits, or spinner harnesses with size 2 or larger blades. Shimano makes a range of Compre bottom bouncing rods in the 8-foot range that have the power, length and sensitivity to handle the heavier gear and fish, and reels such as the Tekota 300 line counter that can take the strain of extracting gear from snags without blowing up. Which direction to troll a river is open to debate? Anglers on the U.S. side of the St. Lawrence claim they can always tell who’s a Canadian because we generally troll up stream. Personally, my choice depends 100 per cent on technique. I like to move up-stream when working spinner rigs or large cranks for Walleye that I know are belly down on the bottom. Keeping the bait working in front of disinterested fish while slowly moving up stream can trigger strikes – they just can’t resist. To quickly cover territory in search of actively feeding fish, I like to execute controlled drifts downstream using jigs or dropshot rigs. It’s an effective technique in the late fall when Walleye are schooling up and feeding on or near flats just prior to taking up winter residence deep in the main channel. Boat control is the challenge, making a bow-mounted electric trolling motor a must. If you’re limited to primary propulsion only, angle across current to maintain steerage and optimum trolling speed. With an electric, you can carefully control both your forward movement or backwards drift while keeping your bow pointed up stream at all times. Remember, your boat will want to drift the same speed as the surface current, while your bait will move at the far slower speed of the current below the slip stream. Maintaining both perfect upstream troll or downstream drift speeds means paying attention to the slope of your line. The objective is to maintain as near to vertical a presentation as possible. When trolling upstream and you’re out from shore, it can be difficult to judge if you’re creeping forward or falling back since the motor is continuously working and a wake is coming off the stern. This is when a Lowrance fishfinder with GPS comes in handy. Simply watch your trail laid over your Navionics map and when the trail starts to appear in front of where you thought you were going, you know you are, in fact, slipping backwards. With so many great rivers in the region, and so few people equipped or experienced enough to fish them properly, they represent access to large Walleye that experience reduced fishing pressure. While fun to catch, they aren’t the fish you necessarily want to eat. 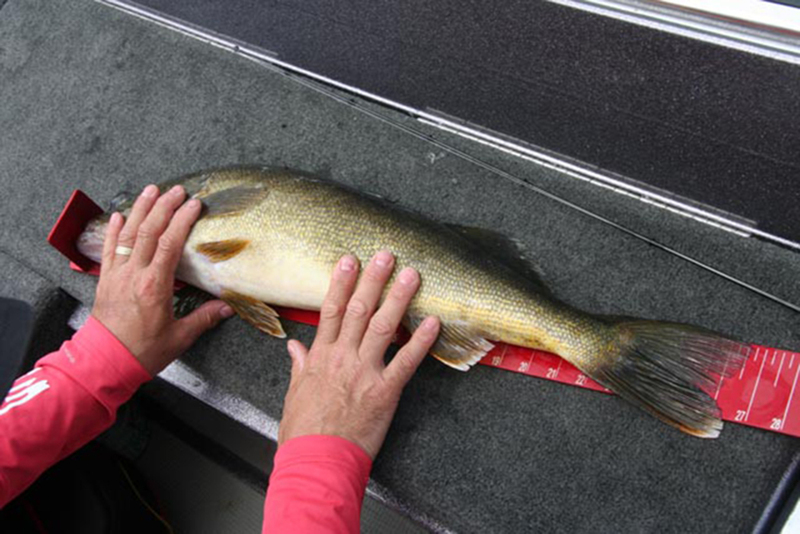 Take home Walleye in the 16 to 19 inch range. Fish that are 3-4 years old and haven’t been around long enough to biomass things like Mercury. The big ones are also the fish responsible for the vast majority of the breeding, so let’s keep the fishing sustainable and let the big girls go.